This is one of the basic ingredients of Thai cuisine, very similar to ginger. Interestingly, this exotic rhizome is related to our kitchen for a long time. It is therefore a chance that it will return to the Polish tables, though still it is not easy to buy it in local shops. For now, galangal is used only in one of the most popular Polish vodka – that which is bitter, but also spicy. Its aroma comes from – among others – was the growing underground, edible rhizomes already used in medieval Poland for the preparation of medicinal tinctures. Under our thatch galangal hit with the Tatars, who were carrying it with them from distant countries, would represent a refreshing addition to tea. It is of a sharp, stimulating taste – like a little power to ginger – enriched with peppermint and resinous note that you can also sniff, so sometimes also used in industry perfumiarskim. 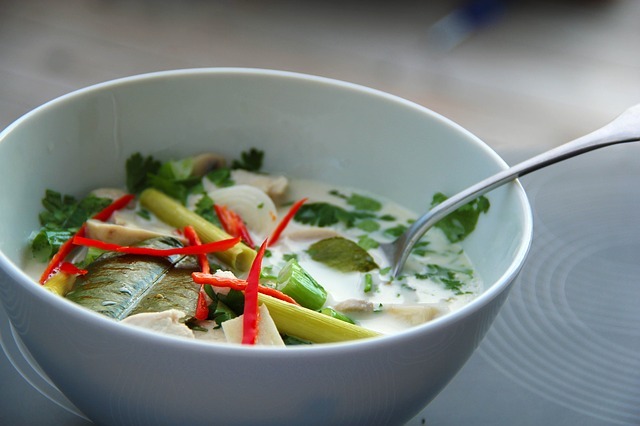 Without galangal would not be primarily flagship for Thai soups: Tom Kha Gai coconut milk and hot-and-sour Tom Yung Kung. How easy sense – galangal perfectly complements the aforementioned ginger, chili, lemon grass, kaffir lime leaves, garlic, parsley and cilantro roots, fish sauce and coconut milk. Mixed in various proportions of these and other spices (such as turmeric or cumin), podprażony – is the basis for the Thai and Indonesian curries. Well combined with fish and seafood – one of the simplest ways is to not provide them with galangal, lime juice and lemon grass. In Indonesia replaces him soup, soto ayam (the most common chicken soup a la ramen with chicken, cumin, coriander, served eg. In “streetfoodowej” version with egg, shrimp chips, potato, pasta and fried onions) and prepared with the herbal drink – cavity. In Malaysia, we find it in our super-popular ulam, which is a mixture of rice with fresh herbs and spices, which adds a variety of accessories like tofu, vegetables, fried potatoes, beef jerky, omelette, fish, dried shrimp – or various combinations of these ingredients. 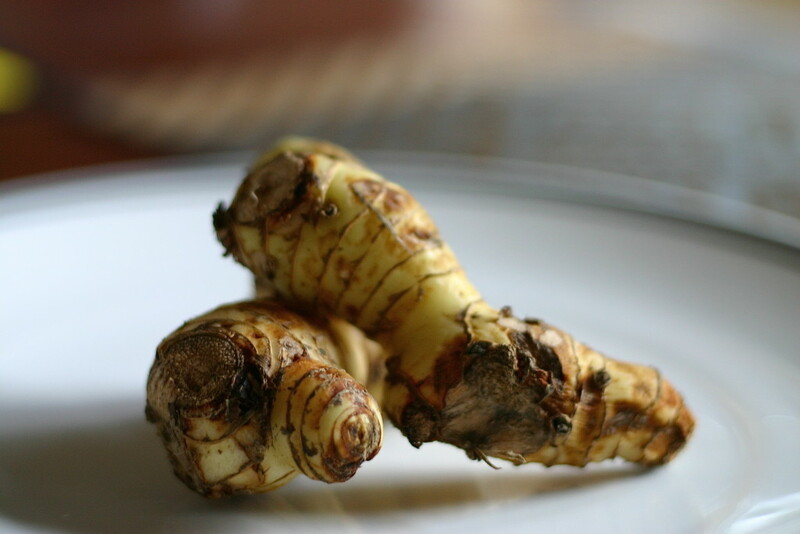 Galangal refreshes these heavy connections and makes them more flavorful.